Crafted by our artisans at our manufacturing facility, we bring to you a beverage tub that is a masterpiece in design aesthetics and uniquely available with Coppersmith Creations. Whether you are throwing an evening party at your house or you have a barbecue party in your backyard, this copper beverage tub is going to be a great utility product to keep your beverages with ice cubes chilled until your party lasts. In addition to the great functional utility, this product will also score 100% on presentability and will get you admiration from the guests at your party. Inside electroplated nickel on pure copper sheet. Cast brass base & handles. Double wall solid copper construction. The shiny cast bronze base & handles is an icing on the cake for this metal ware. It uplifts the entire experience of the product and adds a tinge of luxury & sophistication to it. The 16-gauge double wall design gives this copper beverage tub the strength & durability that will last a lifetime. 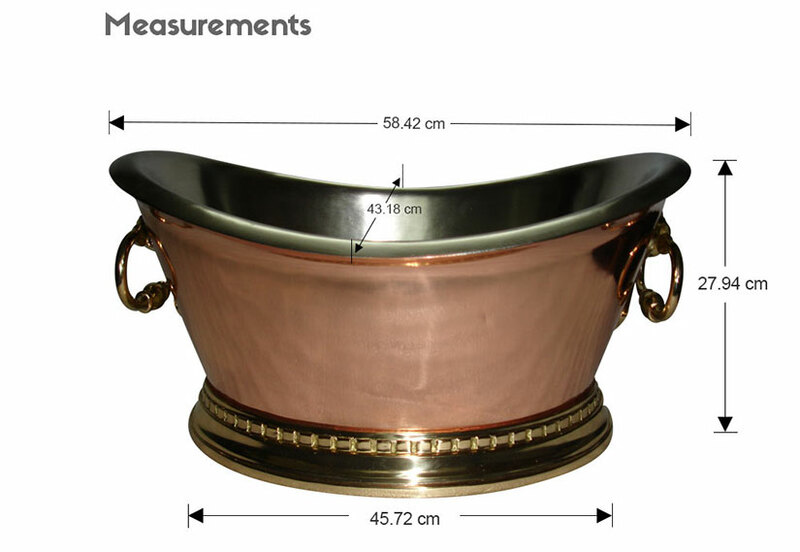 Refer to the picture down below for the measurements and size information of this copper beverage tub. 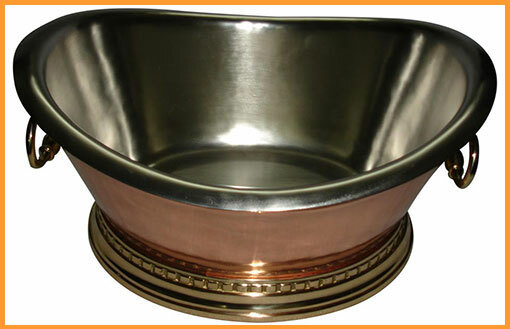 An excellent decor item for enhancing your outdoor parties and, at the same time, keeping your beverages cold and refreshing, this copper beverage tub is a must have. 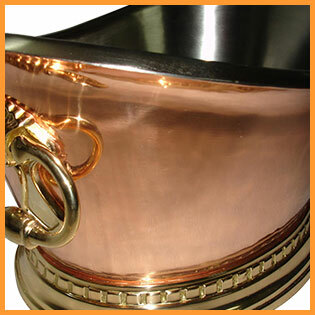 To get a quote for this beautiful copper beverage tub, visit the product page of this item by clicking here. Once you are on the product page, you will need to click the “Request a quote for this product” button and then fill in the form with your name, email & product inquiry and shoot it to us. Once we have your inquiry we would get back to you within 24 hours of your request. 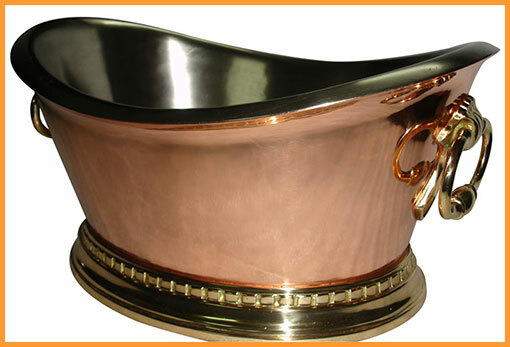 Great post for copper bathtubs manufacturers information and information about copper sinks,bronze sinks,copper tubs & copper.